Will Dixie’s palm trees survive the freeze? ST. GEORGE – In the aftermath of the snowstorms that pummeled Southern Utah early December 2013, many homeowners are looking up at their palm trees wondering what the damage is and what can be done. “The main thing is the damage has been done and it is one of those things that only time will tell,” Mark Hodges, an arborist said. The trees that received the worst of the damage were the palms, olive trees, African sumacs and oleanders, he said. Some businesses and homeowners can be seen wrapping their trees or covering them with blankets to protect against cold during extreme conditions. “Fertilization may help to back out (of the damage). The other thing is wrapping, which does nothing for palm trees unless there is a heat source. Buildings and our bodies generate heat. Insulation helps to trap that heat but palm trees do not generate heat. Wrapping them won’t do a bit of good without a lamp, light or heat cords,” Hodges said. When wrapping to prevent cold damage, the heat source should be mild enough to not damage the plant or tree from burning or catching fire. After surveying the damage, Hodges said it is difficult to predict but estimates 20 to 30 percent of the palms may have been lost this year in the frost including the newly planted and weak palms and the Mexican fans palms. “When we get into the teens and single digit (cold weather) it is the sustaining of those cold temperatures for extended days that really hurt us,” Hodges said. To determine if your palm has survived, you may be able to look at the heart of the palm in the center of the tree and if the bottom has rotted and there is no visible green the tree may be lost, Andrews said. 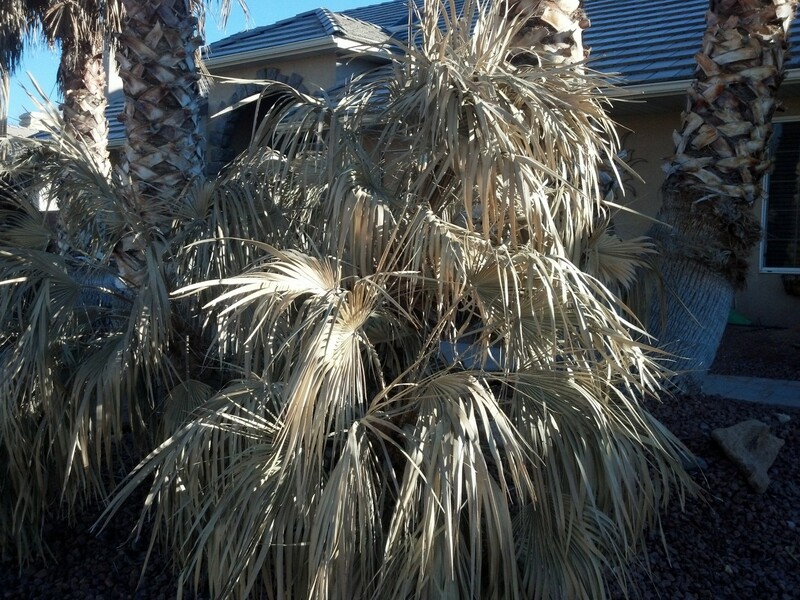 If the palm is living, no pruning should be done despite the poor appearance since the cold. If the pruning occurs and it stimulates new growth too quickly another frost may kill off the new growth. The threat of frost is still strong through middle of April, Andrews said. If you are concerned about your trees or plants since the winter you can find resources at starnursery.com, call a local arborist or go into any local nursery. Hodges won an entrepreneurial contest at Dixie High School, in his youth, being awarded $3,000 for running his own professional tree service. That tree service is ongoing today. As his business developed, he went on to work for the City of St. George as the City Forester, obtained his degree in arboriculture (the study of trees) from Dixie College, continued his personal career and expertise obtaining the title of master gardener, receiving his UNLA certification (certified nursery man, he interprets) and so it goes. He has taught classes and seminars on plants and things of this nature, and presently serves on the City’s Shade Tree Board, among other things. His company, Arbor Tech in St. George, may be contacted at 435-632-0972. Willing to bet the local nurseries will be upping their prices dramatically to take advantage of our losses. My spouse had to buy a snow shovel after the winter storm. Plastic piece of junk was over 40.00. Double the normal cost. To one nonbeliever to another nonbeliever: I agree with you 100 percent and have been predicting this for a few months now. Just go over to one of the Star Nurseries and you will see for yourself the beginning of their price gouging. The only ones I’ve seen that survived were either those where somebody hung a flood lamp near the leaf stem root area (the “heart” of the palm), or those which were planted close to a continuously occupied house (to receive radiated heat) AND where the leaf canopy was below the roof level. I’ve been anxiously observing palms around the area since the record cod and most California Fans, the most common large palm in the area, look like they made it ok due to the bases of the fronds, near the hearts still being green today. The one’s that sadly most likely didn’t make it are the taller, skinnier trunked Mexican Fans as they are only hardy to around 12-15 degrees at most, and they have no signs of green at the bases of the fronds. I was in Mesquite the other day and they’re palms look as good as in the summer! Amazing the difference between both areas, even being in the same desert area. I really appreciate Mark Hodges expert comment above all others. From the TV interviews and newspaper articles I’ve read there has been so much negativity about Palms. Southern Utah is the only place in the state of Utah that can really landscape with Palms. I’m so glad Mark addressed the wrapping of Palms and did so correctly. And the list of plant material that he indicated was severely damaged or killed by the frost is getting longer. There are even more to add to the list like rosemary, privet, and even euonumus. It will be at least six months to see the extent of the Palm damage. Some will die and others will come out of it. I really don’t think the local nurseries are going to raise their price of Palms as one person commented. And lastly I would like to say that Palms have been a beautiful addition to our Southern landscape for quite some time now and you will see them here for years to come. Bonnie, what makes you so confident that the local businesses will not be price gouging people? Of course they will, and have already started! I was at Star Nursery on March 1st, where I spend hundreds on plants, flowers, fertilizers, etc every year so I know their prices quite well. Every plant was at MINIMUM $5 MORE than their normal price. It’s called “business” and it’s despicable. And for all of you optimists: get a clue. Every palm tree in this town is dead so let’s all hurry on down to Star Nursery and buy a bunch of replacement palms at their atrocious price gouging. DON’T replace these dead plants with another palm. Palms are all wrong, aesthetically, for this climate and terrain. 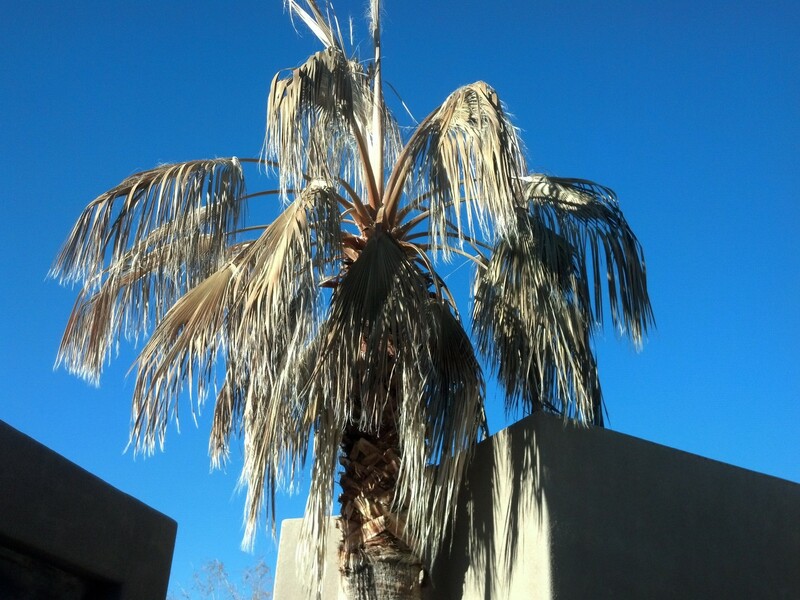 My pet peeve… I hate palms in Southern Utah. And pull those stupid oleanders too. Trash ornamental plant. Also toxic to animals.